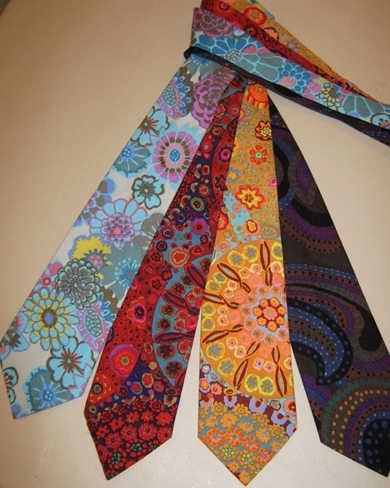 Six half yards of new prints from the Kaffe Fassett Collective -- and one great idea for using them. Each month you'll receive six coordinated, generously cut half yards of brand-spankin' new fabrics from the designers of the Kaffe Fassett Collective. Virtually guaranteed that you don't already have them -- they're new! 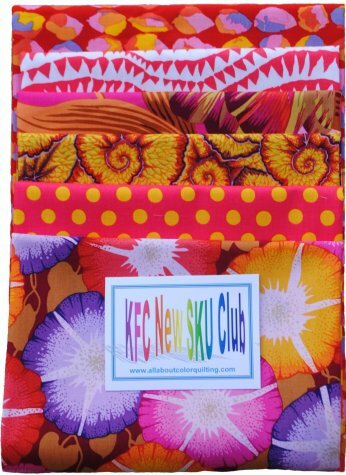 The KFC issues approximately 60 new SKU's every spring and fall and the KFC New SKU Club ensures you'll be the first to have them. The card in the back lists the SKU number, the fabric name & the colorway so you can identify new prints if you want more! The great ideas is provided by pattern designer, Lori Allison. $34.95 per month plus shipping.